IKEA is offering a deal today! 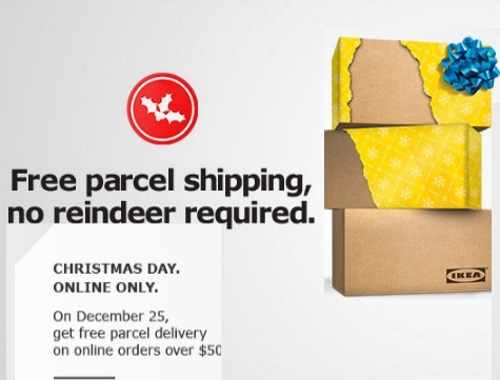 Get Free Parcel shipping with no reindeer required on Christmas day! Offer is valid on December 25 only on orders over $50. Click here to browse IKEA.